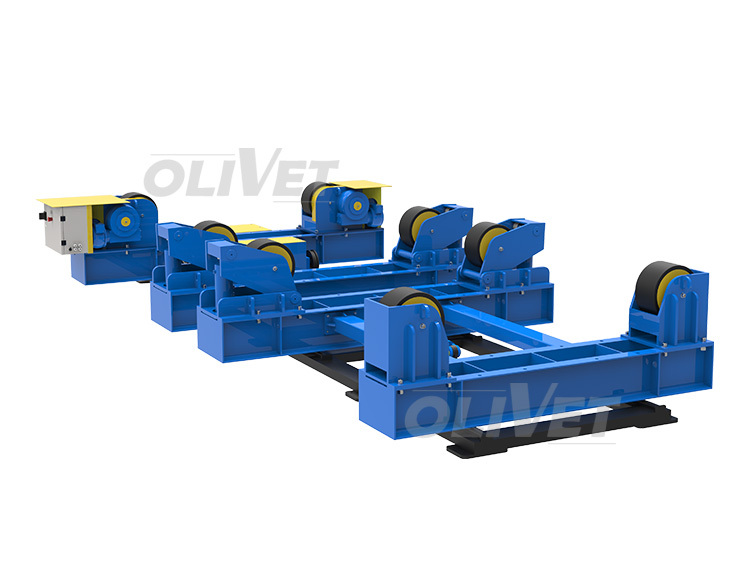 What Should Be Paid Attention to In the Use and Maintenance of The Welding Roller Rack? How much do you know about the use of welding Pipe Turning Rolls? When we use the equipment to pay attention to the maintenance of the product, then generally need to pay attention to what? Then follow small make up to understand it together. After the welding Tank Turning Rolls is used, it needs to be properly maintained, not only to extend its service life, but also to ensure the smooth development of the next work. First of all, the external environment of the Welding Rotary Machine frame should be checked to see whether it meets the requirements and confirm that there is no debris interference; It is then allowed to run empty when it is powered on. Normal equipment should be free from abnormal noise, vibration and smell. When the workpiece needs to be placed on the welding roller rack, the diameter and weight of the workpiece should meet the design requirements, otherwise it is easy to cause safety accidents; And also according to the length of the equipment, adjust the distance between the main and auxiliary wheels, reduce unnecessary problems. Only by mastering the correct use of the welding roller rack and doing a good job in the maintenance of the equipment, can we give full play to the characteristics of the product. We will continue to sort out more contents for you, please pay attention.